LSU: Without a doubt, LSU would give Notre Dame all it would want and then some. Over the past decade, there is no team that has been known to show up in big games and win them like LSU. Yes, they lost at home to Alabama this year. Yes, they lost the national championship game to Alabama at the end of last season. Yet ought these not to be a strong commentary on the Crimson Tide’s prowess rather then to the Bayou Bengals’ detriment? The Tigers have won two national titles within a decade. Aside from the BCS game this past season, they have won almost all of their bowl games*. Stretch the scale of time back to 15 years, and every time the Irish have played the Tigers in a bowl game (the 1997 Independence Bowl, the 2006-’07 Sugar Bowl), LSU has won both games handily. The odds, talent, and the mindset are all in LSU’s favor. 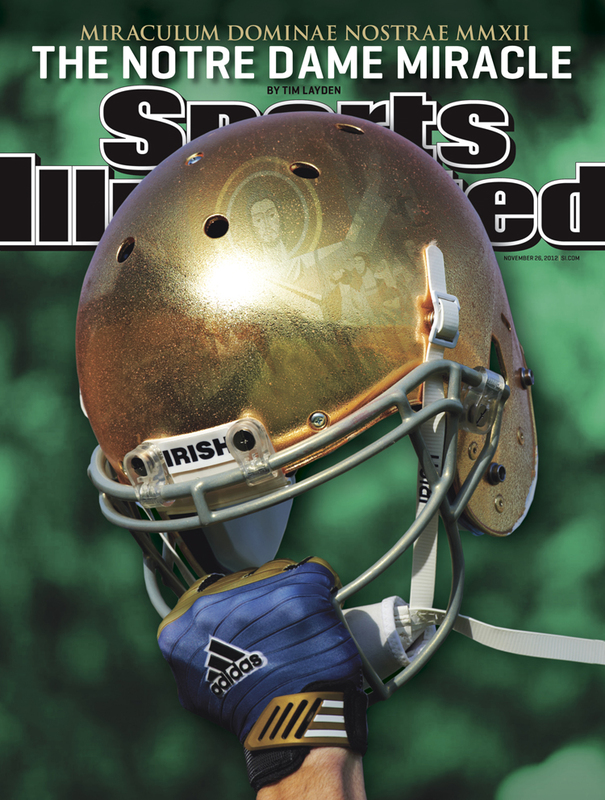 Notre Dame ought to pray that the two teams do not meet anytime soon. *LSU’s only bowl losses were to a tough Texas team in the 2003 Cotton Bowl, and inexplicable losses in the Capital One Bowl to both Iowa (30-20 on Jan. 1, 2005), and Penn State (19-17 on Jan. 1, 2010). Stanford: Don’t laugh. Yes, they already lost to Notre Dame this year, but by that same token, let us put things into perspective. A), the game was in South Bend, B) the weather was horrible, C) what did the Cardinal in was two consecutive horrible play calls on the goal line in overtime. Now imagine the two teams playing each other again, this time on a neutral field, and reasonable weather. Stanford has the personnel to fight the Irish effectively on the line on both sides of the ball. They sport a very physical front seven, and their offense is ground-and-pound. This approach was two horribly-called plays shy of working under very adverse circumstances on the road. Imagine how well it would work in, say, Glendale, Ariz., or Pasadena. Texas A&M: The Aggies have proven that they can move the ball on tough defenses. Quarterback Johnny Manziel has gotten better and better as the season has progressed. They moved the ball effectively on Alabama, after all. Moreover, Coach Kevin Sumlin has proven to be an excellent motivator in getting his men ready for big games. Some of their margins of victory are impressive. For example, they beat a respected Mississippi State squad 38-13, and then turned around the following week and beat then-no. 1 Alabama. What this tells me is that you can count on consistent play from A&M at this stage of the season. That, plus quick defense and superior quarterback play add up to being too much for the Irish to handle. Ohio State: Yes, Brian Kelly has proven to be one of the best coaches in the college game. But so has Urban Meyer, and his resume of winning big games with more teams, one could argue, trumps Kelly’s. Never count out Meyer in big games. Moreover, once he brings in more of his own style of players, they will execute his spread offense all the more effectively. True, the Buckeyes were playing some teams too closely for comfort earlier in the year. After all, they only scored 29 points on abysmal UAB, of all teams! But lately the offense runs like a well-oiled machine. During their last games, they have averaged scoring 49 points each. Their lower scores during that span were 29 points (where Purdue’s defense actually showed up) and 21 points against Wisconsin’s traditionally stout ‘D.’ Notre Dame has not encountered anything like Ohio State’s offense throughout this memorable season of theirs. Florida: Yes, their defense is practically impregnable. Good luck moving the ball on the Gators. The problem is on the offensive side of the ball. Jeff Driskel is a mediocre quarterback at best, and Notre Dame’s defense will not play dead simply because they are facing such a vaunted program. The game would be very low-scoring, with the outcome depending on how well Driskell executes, which is a crap-shoot. South Carolina: On paper, this team should be a very formidable foe for the Irish. A strong running game, one of the best QB’s in college football in Connor Shaw, and defense with potential NFL talent, anchored by Jadeveon Clowney. The problem lies in consistency. The Gamecocks blew out a tough Georgia team earlier in the year, only to embarrass themselves at Florida a few weeks later. After that, they played an awful Tennessee much more closely than the game should have been, again, on paper (they won that game only 38-35). The Ol’ Ball Coach triumphing over the hot-headed Irish Coach will depend on the team that gave Georgia its only loss of the year to show up. Georgia: The Bulldogs have an incredibly talented offense led by experienced, highly-rated quarterback Aaron Murray. On paper, the offense would give Notre Dame’s talented defense all they could handle. Defensively, Georgia sports a typical talented, ultra-quick SEC defense. The problem, like that of South Carolina, is consistency. Yes, they could theoretically take Notre Dame, but it all comes down to which team shows up against them: the team that beat Florida handily on an ostensibly neutral field, or the team that lost badly earlier on to South Carolina? Alabama: Easily the least-questionable team within this category. The only reason they are in said category as opposed to the above one is that Texas A&M exposed a chink or two in their impressive armor. Their defense is talented, but young, and their offense is not the most imaginative of teams at their level. But let us say that the two – Bama and ND – end up playing each other in the BCS national championship game. Give Nick Saban a month to prepare – a luxury no team has had thus far, to be sure – and he is practically unstoppable. Advantage, Crimson Tide.